Pastor Bruce began serving McKnight on July 1, 2014. The son of a United Methodist pastor and a public school teacher, as a PK (preacher's kid) he lived several places in Western Pennsylvania while growing up, and he has carried on the careers of both of his parents. He has served churches in Maryland, Virginia, New York, Connecticut, and Pennsylvania, and has taught and tutored writing at Duquesne University, LaRoche College, and Pittsburgh Theological Seminary. In addition, he plays in the local rock band "The Reply." Pastor Bruce holds degrees from Marshall University (Bachelor of Arts in Journalism), Wesley Theological Seminary (Master of Divinity), and Duquesne University (Master of Arts in English). He is married to Dr. Susan R. Stollings, who is a psychologist with Spiegel Freedman Psychological Associates. She holds a PhD. in Psychology from the University of Pittsburgh and a B.A. in Psychology from Chatham University. They live in Shaler Township, just outside of Millvale, with an enormous number of books. They enjoy reading, movies, "Big Bang Theory", travel by train, and eating out -- and you can often find Bruce at PNC Park or watching the Pirates or Steelers on a TV somewhere. Jennifer has been serving as the church secretary since November 2012. She served in the United States Air Force shortly after High School. Afterwards, she moved back to Pittsburgh, continued her education, and started a family. Jennifer enjoys spending quality time with her husband and two children. They love taking walks in the woods and just being together as a family.. Her favorite activities include outdoor hobbies such as hunting with her husband, swimming, camping and hiking. She is very excited about her secretary position in the church, as she feels it has been an answer to prayer. Katherine (Kathie) Chavka holds the position of organist/choir director. Kathie began working with MUMC on September 1, 2016. She was married to her late husband John, a retired teacher. She has one daughter, Kristine, who is an elementary school teacher and one 15-year-old grandson named Jack. Kathie's husband, John, passed away in May of 2017. She lives in McKnight Village on Fox Drive. Kathie has been active in church and music ministry throughout her life. She comes to MUMC after serving for 17 years (1999-2016) as organist/choir director at The First Congregational Church of Etna. Kathie studied piano and organ for over 15 years each. She has a degree in the education field and previously taught music at Allegheny Community College. 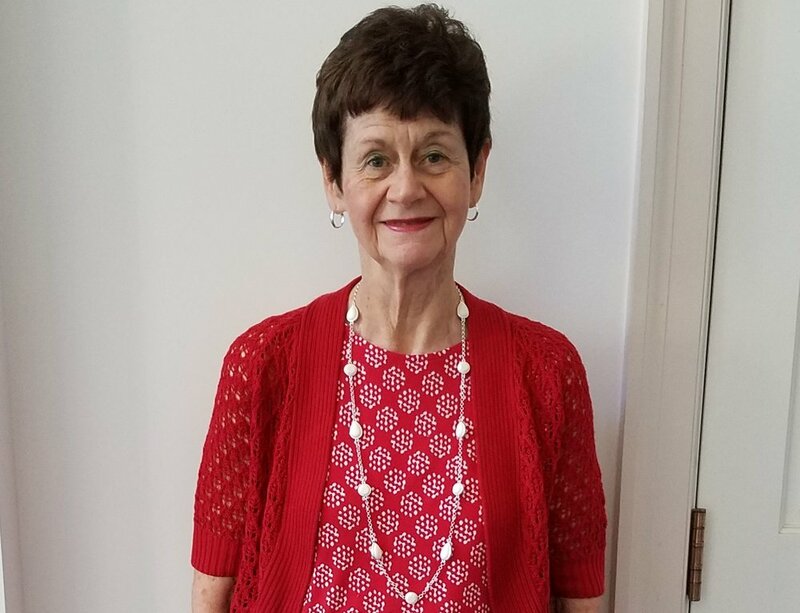 Kathie began teaching piano while in high school and previously was an instructor of piano (beginner through advanced) for CCA in the Continuing Education Division. Some may know her as she lives on Fox Drive and has taught piano in a studio in her home for many years. She is accredited through the Pittsburgh Piano Teacher's Association and holds a Ross Township business license. She has held many student recitals at our church. We are very excited to have her share her music ministry with us. "Music is not only my work, but also my hobby and passion. I am blessed to be at McKnight UMC and I look forward to servign the Lord and congregation as your organist and choir director." Gerri and her husband, Rich co-lead the Youth Group, and have for many years. The PBJ (Powered By Jesus) youth try to meet on Sunday evenings at 7 PM at the church, but their busy schedules (various school bands, work) make that a challenge. It is best to check in with Gerri to see about their meeting time (her cell number is 412-901-9798). In addition to their regular meetings, the PBJ Youth lead worship at times during the year, and most often go on a Mission Trip for a week during the summer.